I, and others, have waited years for MoFi's treatment of Miles Davis' "Kind of Blue" on 45rpm 180 gram double-disc vinyl. It didn't disappoint. This recording generated a wide and deep soundstage with life size sonic images, excellent tactile sensation, and finely detailed growl and overtones in the wood body and strings of the acoustic bass. Miles' trumpet had just the right amount of metallic bite. The alto and tenor saxophones had a lifelike silky "edge" and serrated overtones. Others have complained that the bass on this version was too "heavy", but I thought it was just right and highly representative of what I hear (and feel) in live acoustic jazz performances. Others also have complained that this version is cut from third generation masters and does not have the overall clarity and detail of the Classic Records 1995 four LP 45rpm set, which is long out of print and now costs hundreds of dollars on the collector's market. I still have a twinge of regret that I didn't snag a new sealed copy for $290 when I had the chance. Compared to all the digital versions I own, the MoFi 45rpm vinyl version is more three-dimensional, more holographic, presents more of a sense of space and depth around sonic images, and presents more image weight and tactile sensation. However, the 192k download has more air around the ride cymbals, has better high frequency detail, and is more dynamic. The 192k download is a close second to the 45rpm MoFi vinyl set. I have always appreciated 12" 45rpm singles due to their better bass rendering and better overall clarity and detail. Figure 1. MoFi's boxed set of 45RPM vinyl at top and MoFi's hybrid CD/SACD at bottom. does help remove mold release compound which can make playback cleaner." Off to the steam cleaning, wash, rinse, and vacuum, they went. Figure 2. 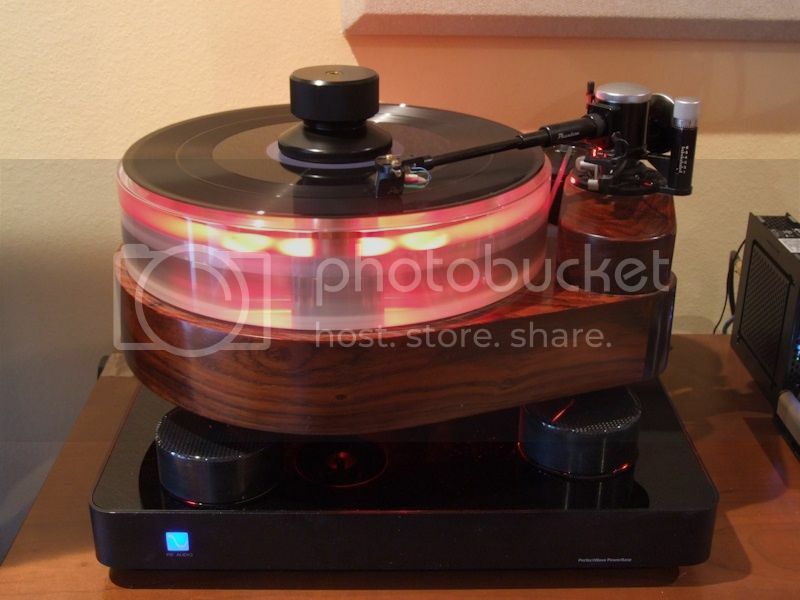 VPI 16.5 record cleaning machine with fan modification. The KoB discs didn't sound any different, or better, after steam cleaning, washing, and vacuuming. Figure 3. 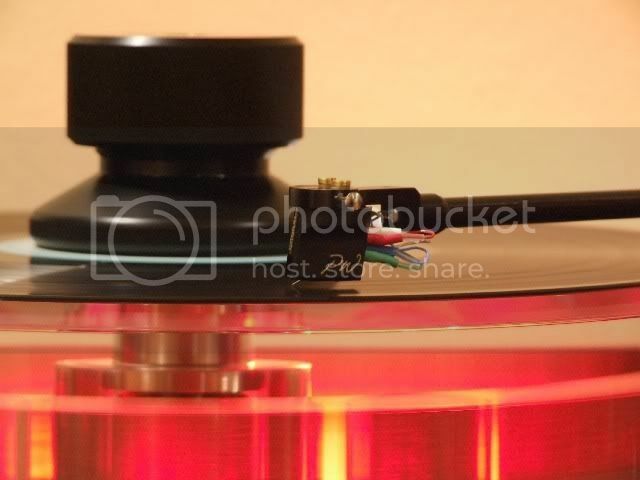 Isn't it awful that in the 21 century the highest resolution music playback system is still vinyl records and diamond "needles"? I hate the playback and maintenance rituals...but I love the sound. I've managed to ditch the CD and SACD players, and their lasers and spinning discs...but I haven't found a satisfying substitute for dragging a tiny rock through plastic undulating grooves. Figure 4. Modified Sony PlayStation 3 - for ripping SACDs to DSD files. I used a modified Sony PlayStation 3 and Sonore ISO2DSD software to rip DSD files to my computer. DBpoweramp CD ripping software was used to rip FLAC files from the CD layer of MoFi's hybrid CD/SACD disc. 1. Mobile Fidelity 45rpm 180 gram vinyl. 2. Columbia/Legacy remastered 192k download. 3. Mobile Fidelity SACD rip. 5. Mobile Fidelity CD rip. As you go from bottom to top in the above list, the sound stage gets wider, deeper and overall clarity and detail increases. The 45rpm vinyl and 192k download are equal in sound stage proportions and image placement. The 192k download version is a new remaster from the original 3-track session tapes and was painstakingly engineered to recreate the original sound of the recording studio. I was surprised that the sound quality of the 192k remaster download sounded better than both of my SACD rips. 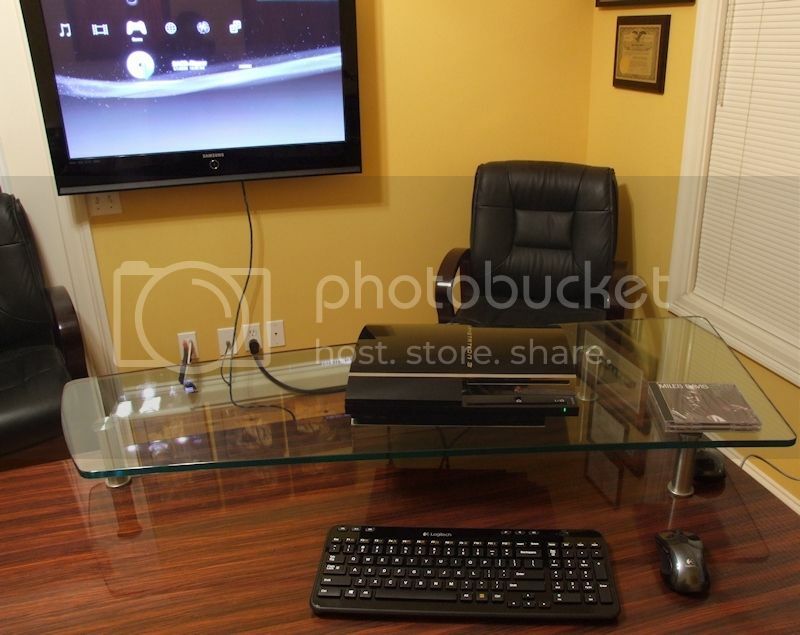 This is another example that higher resolution does not always equate to higher quality sound. The care and competence that goes into the making of the master records trumps the medium every time. A higher resolution picture of a pile of horse manure is still a picture of a pile of horse manure (not that I am comparing the other digital versions to horse manure). MoFi's 45rpm version would be perfect if it had the air and high frequency detail of the 192k download. The 192k download would be perfect if it had the holography, image weight, bass weight, bass articulation, bass detail, and tactile sensation of the 45rpm LP. I have gained a greater appreciation of high resolution digital files since upgrading my DAC to the dCS Debussy. Figure 5. Such Good Sound! 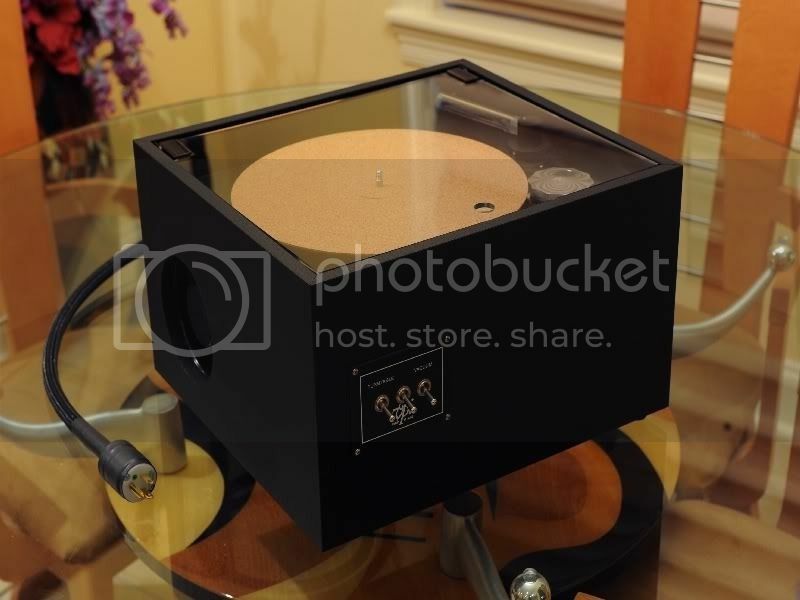 In the future, when I am more dedicated to audio than I am now, I will find a way to quit my turntable without sacrificing lifelike sonic bliss. Nice write up and really nice TT. I've got 3 copies of KOB on vinyl, but am tempted by this one. I'm sure the music just sounds outstanding over there. Great review! (And jaw dropping equipment). I have it on vintage R2R (Columbia ‎– GCB 60, 2 Track 7 1/2 ips) and it's stunning as is "In Person, Friday Night At The Blackhawk, San Francisco, Volume I" (Columbia ‎– CQ 428, 4-Track 7 1/2 ips). Wish I had the other two SF sessions. Great review as always. But I have to disagree with this statement "I hate the playback and maintenance rituals" To me this ritual is part of the enjoyment of vinyl. Now off to mofi to order my copy. Funny, I thought the same thing. I'm sure there are very few of us, but I do enjoy the whole process. Me too. Gets me off my bum and keeps me more active. The muscle memory of the ritual is so embedded that I feel a bit lost for a few cycles when I move any equipment around. Have you compared the same recordings on vinyl and R2R? I only have "Kind of Blue" on tape and CD. But, have session one of the SF recordings on vinyl and tape. It's really no comparison on the former. The latter, to my ears anyway, is superior in placement, presence and a feel of openness (you're THERE) on tape. To be fair, however, the tape deck is on an all tube system driving hybrid ESL's, while my table in that listening space is on a solid state amp/pre with a tube phono stage driving small SDA's. Perhaps it merits a little playing with equipment config and experiencing both media on both systems? BTW - you have an absolutely gorgeous home and amazing taste! Got my copy this morning and am listening to side 2 at the moment. MoFi did an outstanding job on this 45, just outstanding! I recently acquired a mint copy of Classic Records' 1995 four LP 45rpm set of Kind of Blue. 1. Classic Records 45rpm 180 gram vinyl 4 LP set. 2. Mobile Fidelity 45rpm 180 gram vinyl 2 LP set. 3. Columbia/Legacy remastered 192k download. 4. Mobile Fidelity SACD rip. 6. Mobile Fidelity CD rip. I purchased my copy from the second owner, and the discs and jackets had been very well cared for. Discs 2 and 3 had no surface noise. Discs 1 and 4 had light surface noise in some spots, but this was removed with wet cleaning. With this acquisition, I consider my vinyl collection complete. Ironically, this marks the end of my vinyl indulgence and I will be digitizing my record collection and dismantling my analog rig. I just don't want to deal with the inconveniences and maintenance issues of vinyl anymore. However, I will be keeping my records and my analog rig (in storage). 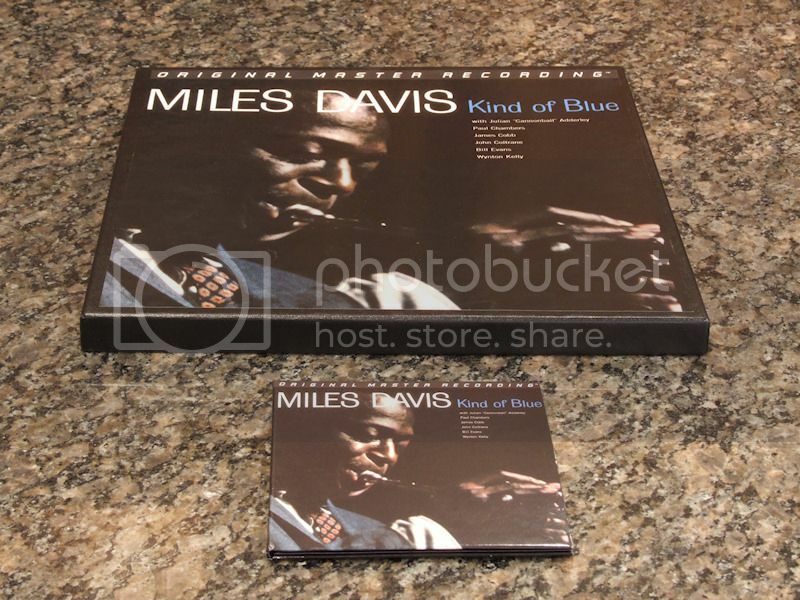 Prior to acquiring this version of Kind of Blue, I had not played records since December of 2015. I used to set aside time every week to listen to records, but I lost interest in doing that after my dCS Debussy DAC was installed in December of 2015. My entire CD and SACD collection was transferred to FLAC and DSF files respectively. Soon, my entire record collection will be transferred to FLAC and DSF files, but that is a subject for another thread...in the forum's "Going Digital" section.